On Saturday 7th October it was the 7th anniversary of the Thong Sala’s Walking Street Market. The exhibition was an opportunity to introduce all the local NGOs, voluntary services or companies who want to help save Phangan's environment, it's wildlife, strays, and the island community. Hi Stefan, so how did the event go? For me it was a successful event. The rain had actually a perfect timing for us. It started after the special event for the local school classes. Many kids came to our stand, to hide from the rain and discovered my snake handling equipment, snake sloughs, preserved snake road kills and videos about my work in reptile conservation and research. 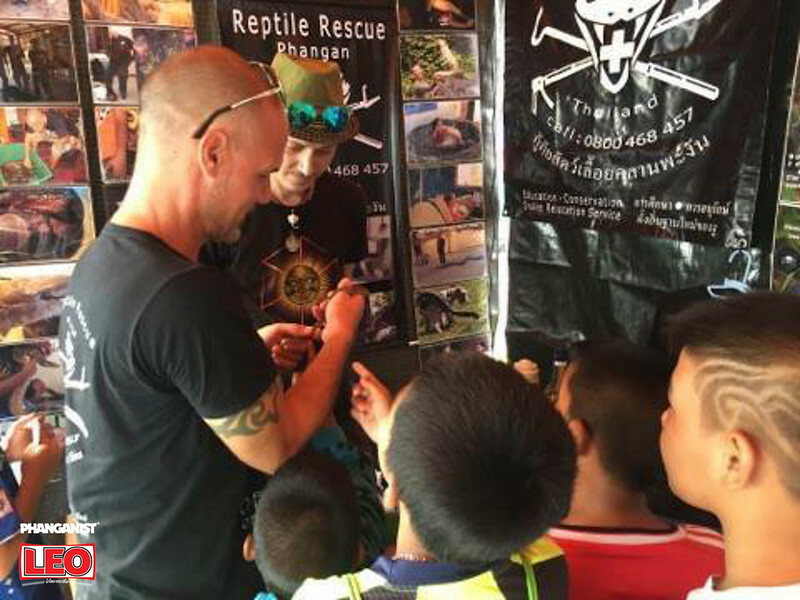 After the rain was over, some of the kids came back with their mates to watch more videos and get some reptile rescue stickers. Then it became a bit quiet until the walking street was opened. Did you have a lot of visitors, Thai or foreign? I had many more visitors on my stand than last year. I got even more chance to talk with local school kids and their parents, maybe because I have improved my Thai vocabulary a bit since last year. Therefore I wasn't too shy to start a conversation with locals. This year I had also much more Thai info material to present. It was much easier to answer the endless questions of our island kids. It was really fun. I was also very glad to see many friends of our local expat community. For me and my girlfriend the event wasn't boring at all. What are the main issues surrounding your work at the moment and what myths do you wish to dispel? 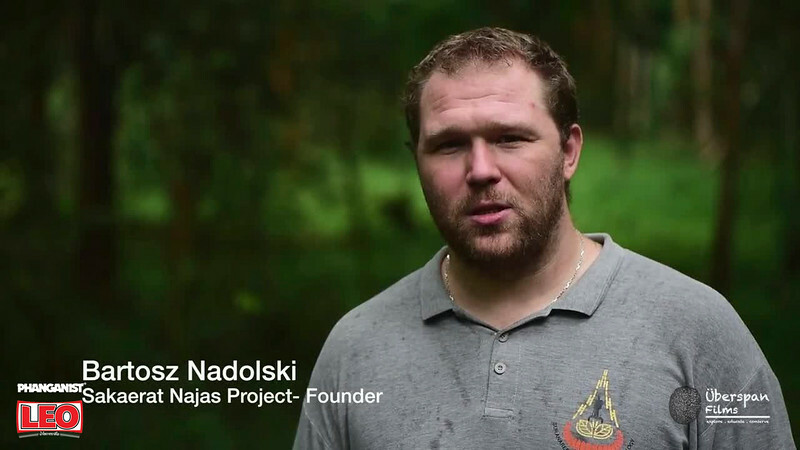 Naja is the scientific name for Cobra. He visited me last May and I showed him our island, the national park and it's forest station. 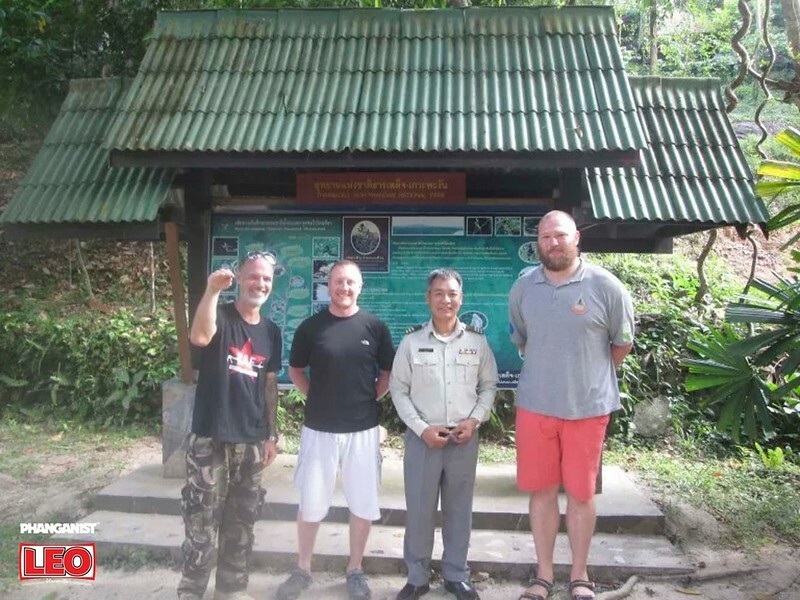 After that I organised a meeting with the director of our national park and we all agreed to launch a research and education project on Phangan to prevent venomous snake bites. 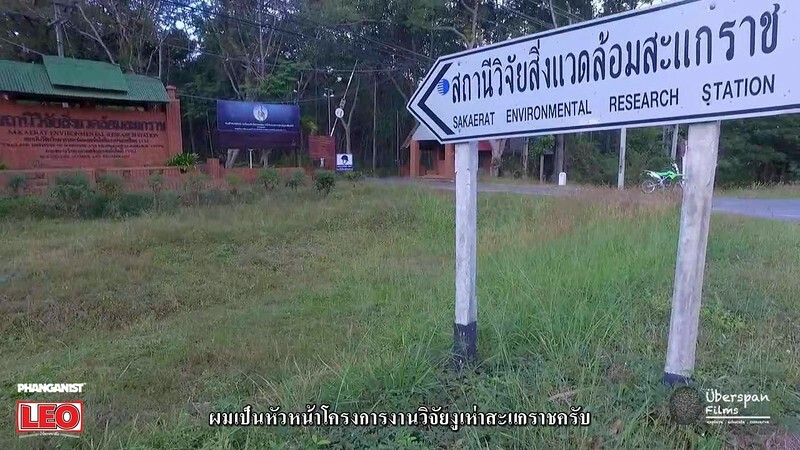 I visited the team of my new friend in the Sakaerat Environmental Research Station to learn more about my future tasks, like snake processing, and radio tagging with radio telemetry equipment. We will use this equipment also to track as many of our rescued island cobras as we can. With this method we can show our locals that they've always lived with at least one cobra around or under the house and never got to see them. Snakes don't cross our land by accident. If a Cobra is 1.4 meters long it may be already be 10 years old. If we find it in our garden at this size it has probably lived there already for at least 6 years and nothing has happened. They usually know, how to avoid us. People need to understand this. They also need to understand that cobras don't come to our house in order to bite us. This is Superstition. They rather flee from land clearing and bush fire. Or they get temporary blind from the molt. They lose their way and just want to hang out behind our fridge for a couple of days. As soon they get clear eyes the cobra will be surprised, if not shocked about the fact that they have ended up in our kitchen. If we would give them the chance, they would just leave our house without any trouble and never come back. At least not by free will. We can actually coexist with cobras without getting bitten, just by changing our habits in our everyday life, like not walking in the dark in flip flops without using a light torch. If we give them the chance to flee they will do it. I've tried it myself. And by radio tagging we will even be able to prove it. We will track these snakes as long as we can. As long as we get funds from charity and the research council of Thailand. 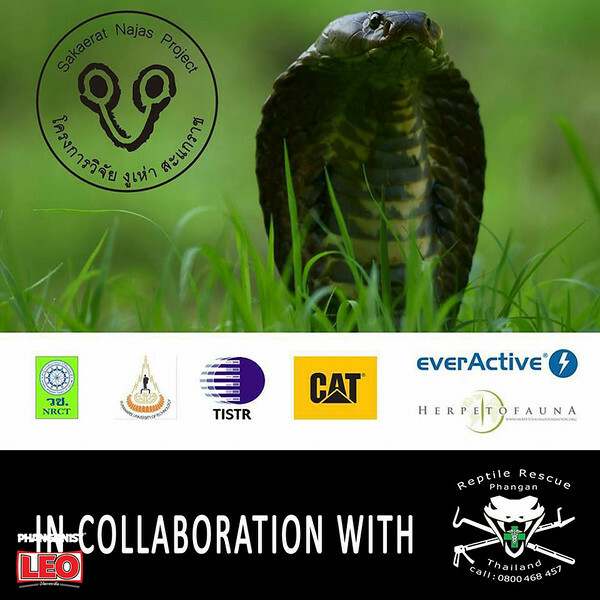 Soon we will be able to show the first cobra movement patterns to our local farmers. I promise you... their eyes will fall out if they realise that they have lived together with cobras for years. In Nakhon Ratchasima my friends have done this project for the past 3 years and it's still going on successfully. The locals start to accept even spitting cobras. Of course some people still eat them sometimes, I don't want to raise my finger and ask them to stop it. I also eat meat. Of course I would rather see if they would buy their meat from a snake farm instead of hunting them in the wild. But we don't have so many snake eaters to extinguish the entire island population. 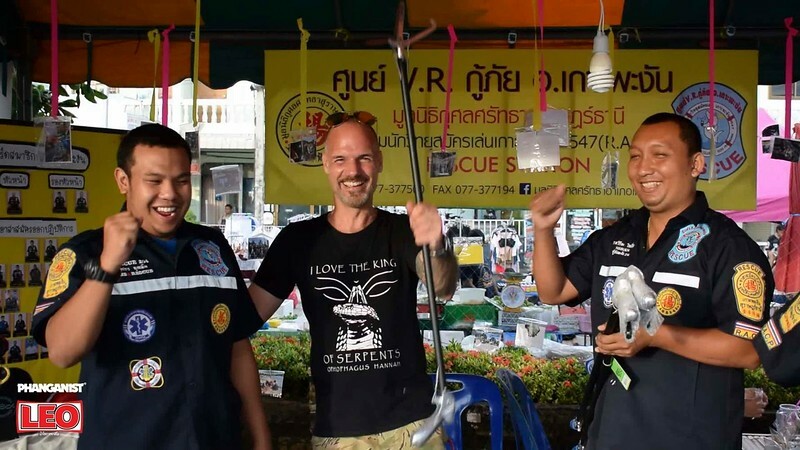 In the first place people can help us and our reptile world by not killing and rather calling me for the Reptile Rescue Phangan snake relocation service. Of course donations are always welcome. On my homepage you'll also find a link with info about our projects and with bank account details. Of course you can also call and visit me if you would like to see some rescued animals like our Bengal Monitor Lizard ‘Baanchan’. As soon as we've launched our radio telemetry project on the island we will also need some hands but for this we will post an announcement. In the meantime SOS - Save Our Snakes! Thank you!